How TranslateMedia helped Baker Ross expand into France, Germany, Sweden, the Netherlands and Italy with a combination of online marketplaces and website localisation. 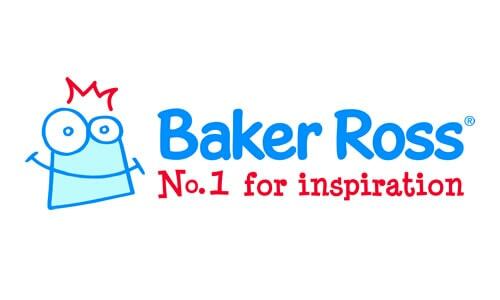 Baker Ross was founded in 1974 and is one the UK’s leading suppliers of children’s arts & craft products to parents, schools and playgroups. In 2014, Baker Ross decided to test market its products internationally, starting with the German Amazon site. The project was a great success and Baker Ross decided to set up a dedicated German site alongside Amazon. With the success of the German market, Baker Ross continued to use the same ‘test channel-then-build site’ approach to building its presence in European markets. To date, Baker Ross has over 2000 products online targeting the French, German, Swedish, Dutch and Italian markets. Baker Ross sells fun products to primary school age children and their parents or carers. With a large product range, one of the main challenges was ensuring that every product description reflected the unique benefits and features of each product while maintaining Baker Ross’ tone of voice and brand values. Additionally, these needed to be optimised for the most popular key terms used by customers when searching for their products on online marketplaces and search engines. The translated content needed to be delivered within a short time frame with tight deadlines and the campaigns related to specific events such as Mother’s Day, Valentine’s, Christmas and school holidays. Baker Ross made the decision to invest in a professional translation service using skilled translators with expertise in localising product descriptions. TranslateMedia was the perfect fit. This ongoing partnership means that only dedicated translators and proofreaders in each language worked on the Baker Ross copy. On top of this, Baker Ross was able to rely on its own dedicated account manager with in-depth knowledge of its previous projects and the industry sector. All of this helped to deliver a seamless and efficient service. Translator selection – TranslateMedia recruited stay-at-home mothers from its large translator pool, so that the translation team reflected the client’s target audience. Over time, they built an in-depth understanding of the brand and products. The translators used their product knowledge to localise copy using language to appeal to the target audience and provide reassurances of product quality and safety. Co-existence of brand’s tone of voice and SEO – TranslateMedia was careful to ensure that the appropriate tone of voice was used in localised copy and special attention was given to extended product titles that were needed on Amazon search listings and product pages. These product titles were peppered with search-friendly keywords that were localised for each market to ensure products were optimised for relevant key terms in Amazon searches. Brand’s terminology management – having built up a large glossary of preferred brand terminology, TranslateMedia shared it across channels, where key phrases were reused when new collections need to be translated. Cost savings – Baker Ross benefited from considerable savings on cost thanks to TranslateMedia’s use of tools which ‘lock’ previously used translations. Ultimately, only new content was charged in full. Tailored account manager selection – TranslateMedia assigned a dedicated account manager to the Baker Ross account, selected based on their familiarity with the brand as well as their experience leading translation projects for eCommerce retailers. The project was a huge success and in 2016, Baker Ross shipped almost 100,000 orders from their branded sites, and over 200,000 orders from marketplace sites such as Amazon. The brand is planning on using the same market-testing approach on marketplaces in 2017 before building out its own online presence and expects to ship many more products to European customers. The high-quality translations means that Baker Ross’ local agents and distributors didn’t need to proofread or verify the localised text, as opposed to many low-cost localisation solutions that require a third party to verify translation quality – which can increase the time taken to go-to-market. TranslateMedia’s fast turnaround times mean that deadlines were met and Baker Ross had time to prepare printed catalogues as well as online content. Testing the market and effectively localising search terms in the local language paid dividends. Germany is now the most successful new market to date. Over time, using a professional translation service has delivered measurable savings and an increase in quality and consistency based on fewer feedback and amendment cycles. Short translation turnaround times and an annual delivery schedule of product batches for translation means that the translation team and the Baker Ross’ technical team have plenty of time to upload the localised content ready for the next season or campaign.